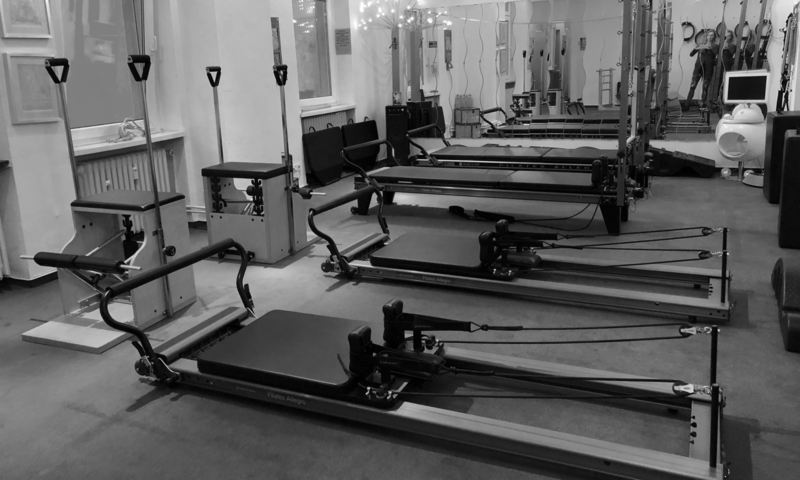 You will profit from 8 years daily practice with Pilates machines in private and group lessons. Experience precise instruction and tactile support, which I am able to provide based on my extensive education and certification. You will see your body change and you will learn to love the equipment. It is very important for me to ensure correct and regular practice, only so will you effect the changes Pilates said of: “After 10 sessions you’ll feel different,after 20 sessions you’ll look different and in 30 sessions you’ll have a new body.” (J.H. Pilates 1941). Discover Pilates’ methodology for yourself, define your muscles, shape your body. With regular practice you will develop the “pilates waistline”, your back will relax, posture will improve and your walking will become smooth. You will gain new charisma, new body-awareness and last but not least a better quality of life. Pilates will change your life. Pilates Contrology is not only a perfect supplement for athletes and dancers, it is for all those who want to prevent problems on the back early and to stabilise joints. Existing problems will be reduced with regular and precise exercising and Pilates’ methods have been proven to help on many diseases. I am a sportswoman with experience in jogging, surfing, windsurfing, biking and dancing; always interested in widening my repertoire with qualified instructors. Since I know how it feels, I am the right trainer and coach. Try one of my coming workshops: Reformer oder Matte Basic, Specials.